As part of their Good Business Journey, Woolworths is proud to support initiatives like The Cape Leopard Trust. Through partnerships with their customers and organisations like The Cape Leopard Trust, Woolworths is increasing awareness of the environmental issues around the Cape Leopards, while actively supporting The Cape Leopard Trust’s projects. 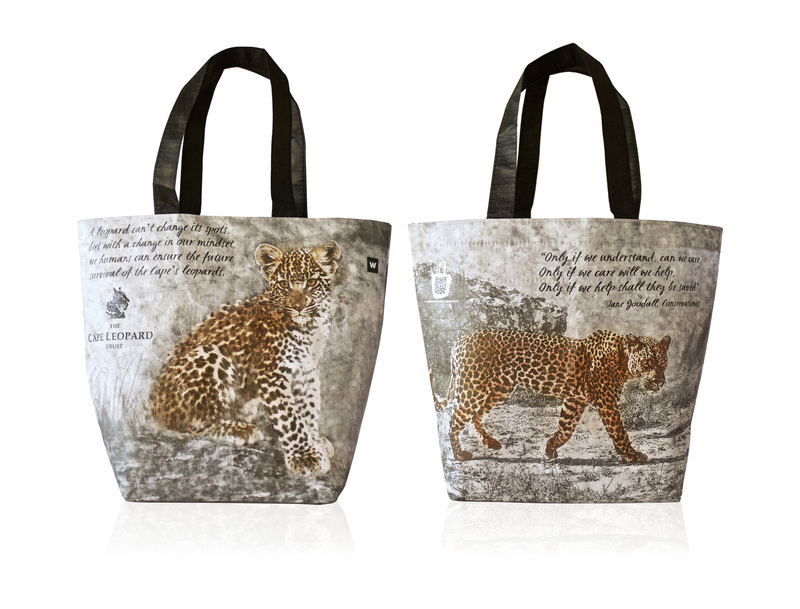 Through the sale of each bag, Woolworths donates R10 to The Cape Leopard Trust. 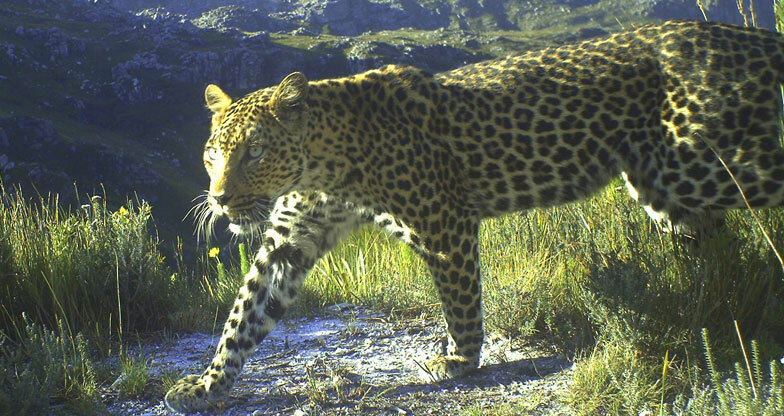 The funding will support leopard monitoring and research across our core work areas, in the Boland and the Cederberg, along the Cape Fold Mountain system. 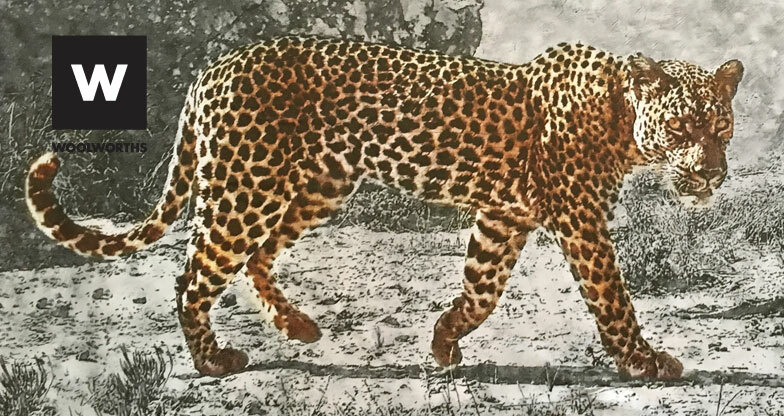 Leopards in the Cape, numbering no more than a few hundred individuals, are threatened due to their low densities, large home range requirements and fragmentation of their habitat. Although core mountain reserves remain preserved, edges (or fringe habitat) are impacted by habitat alteration, resulting in the Boland mountain complex which, as human encroachment increases, is evermore creating an island of leopard habitat within a sea of degraded land. 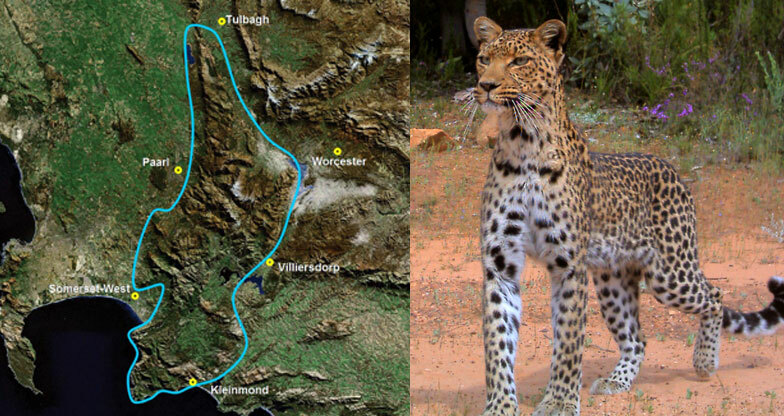 Funds will be directed to a current focus and concern, the establishment of a project in the Boland study area in partnership with the Wilderness Foundation, which involves a multi-level interview based threat analysis detailing the prevalence of current and potential threats to leopards in the region, including illegal hunting using wire snares or dogs, packs of feral dogs, road mortalities, direct persecution etc. Illegal hunting and feral dogs pose both a direct and indirect threat to the persistence of leopards – a top predator in the Mountain Fynbos ecosystem. First, the predators themselves can be caught and killed it, and second, it depletes the leopards’ prey base (by removing grysbok, duiker and porcupine from the habitat). Another important component of this work is a directed awareness and education programme aimed at increasing public awareness and knowledge about identified environmental issues, connecting previously uninformed people with nature, and correcting common misconceptions about leopard ecology & behaviour. WHEN WAS THE PROJECT INITIATED? create public awareness about the biodiversity of the Boland mountains. This baseline leopard research, the first for the area in three decades, formed the basis for further studies. A substantial sample of leopard scats (droppings) were collected and analysed, which served to establish a representative contemporary record of leopard diet for the region. Identification of individual leopards and knowledge of estimated territories from the camera trap photo data poised the project for a detailed telemetry study of habitat use and movement patterns of leopards in the fragmented, human-modified environment of the Boland mountains using GPS collar data. Where is the Boland study area? The Boland Project study area stretches from north of Bainskloof near Wellington, southward to the Kogelberg coast. This area comprises roughly 2000km2 of Mountain Fynbos habitat which includes six core Protected Areas managed by two statutory conservation bodies (CapeNature; City of Cape Town Biodiversity Management). These include the CapeNature Limietberg, Hottentots-Holland, Jonkershoek, Groenlandberg and Kogelberg Nature Reserves, and the CoCT Helderberg and Steenbras Reserves. A large proportion of the study area consist of water catchment areas, private nature reserves and privately owned land adjacent to the core protected areas. Also noteworthy is that this area overlaps with the UNESCO designated Cape Winelands and Kogelberg Biosphere Reserves – areas recognised for their biological and cultural diversity and value. HOW WILL THE FUNDS BE USED TO FURTHER THE PROJECT ? Land managers and conservation bodies believe that illegal hunting and snaring for bushmeat in the Cape Floristic Region (CFR) is an emerging biodiversity concern, however, the severity of the problem is unclear due to a paucity of rigorous scientific data. It is of vital importance to assess incidence of illegal hunting and the impact on leopard populations and prey species. This project requires considerable logistical support as well as institutional collaboration and public participation. Funds generated will enable the research team to visit farms and communities in remote areas throughout the 2000km2 study area to conduct interview-base questionnaires. Questionnaires will form the basis of valuable data collation to be used for the development of management guidelines and actions in conjunction with conservation authorities across our study areas, leading to improved management and monitoring of leopard populations to ensure their long-term survival. Purchasing one the Leopard bags are already shows your support of this project. Donate – cash donations to The CLT are tax deductible.